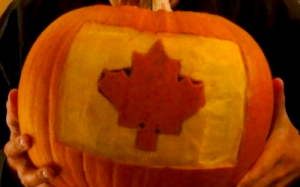 Happy Canada Day from Halloween Alley! Our true North, strong and free turns 145 this weekend, and she looks pretty darn good, if I don’t say so myself! As the largest, independently owned Halloween store in Canada, we are super excited to celebrate Canada Day this weekend! Canada Day means Summer, it means family time, and it means lots of great food. What do you do with your friends and family on Canada Day? Fireworks? Barbecues? Let us know – maybe you could get a chance to win the new iPad!